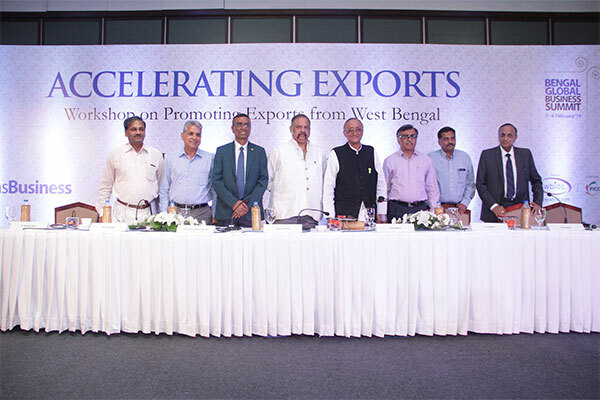 ‘Accelerating Exports’ – a workshop on promoting exports from West Bengal was organized on June 18 in Kolkata. 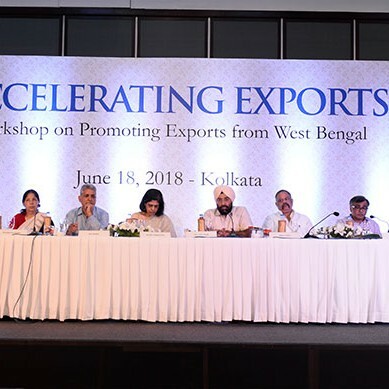 The objective of this workshop was to discuss strategies to create an enabling environment for exports, enhance existing exports and promote new items of exports from West Bengal. Dr. Amit Mitra, Hon’ble Minister in Charge, Finance, Industry Commerce & Enterprises and Micro, Small & Medium Enterprises & Textiles Departments, Government of West Bengal was the chief guest at the session. The workshop was addressed by senior secretaries from Govt. of West Bengal - Mr. Rajiva Sinha, IAS, Additional Chief Secretary, MSME & Textiles, Dr. S Kishore, IAS, Principal Secretary, Industry, Commerce & Enterprises , Ms. Nandini Chakravorty, IAS, Secretary, Agriculture, Food Processing, Horticulture, Mr. Ravinder Singh, IAS, Secretary Fisheries and Ms. Vandana Yadav, IAS, MD, WBIDC & Export Commissioner. 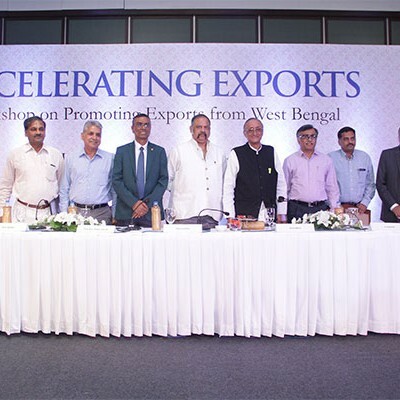 Senior office bearers of different export promotion councils, associations, commodity boards, institutions including EEPC India , CLE, CHEMEXCIL, CAPEXIL, SHEFEXIL , PEPC , EPCH , MPEDA, APEDA, ITA, Tea Board, IPF, Kolkata Gems and Jewellery Welfare Association, NASSCOM, Dubai Multi Commodities etc. were invited to share their views. Mr. Anil Bamba, Chairman, Land Ports Authority, Mr. Ganesh Gupta, President, FIEO, Mr. Chandra Shekhar Ghosh, MD & CEO, Bandhan Bank, Dr. K. Rangarajan, Professor & Centre Head - Kolkata Campus, IIFT, Ms. Anindita Sen Gupta, Additional DGFT, Govt. of India and Mr. B. Praveen, Director, Dept. of Commerce, Govt. of India also addressed the workshop.